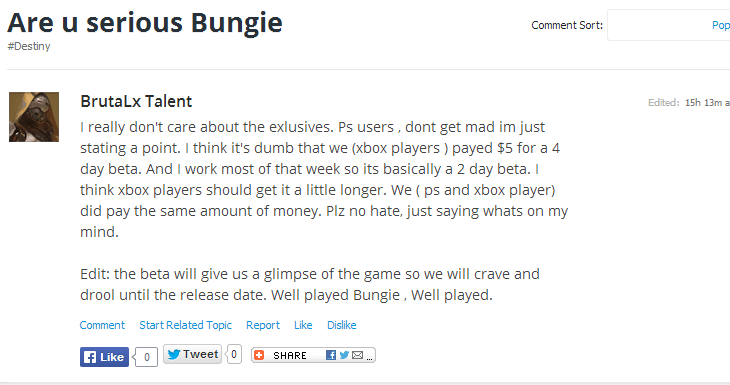 I wouldn’t blame you for thinking that Destiny is a PlayStation exclusive. Sony has been pushing the game so hard in comparison to Microsoft that it’s an easy mistake to make. Not only that, but the PlayStation version of the game seem to be getting a fair share of exclusive content, and that’s upsetting quite a few people. Sony had the game on stage at their E3 press conference. On the same day, it was revealed that Destiny would receive a short Alpha, exclusive to the PS4. 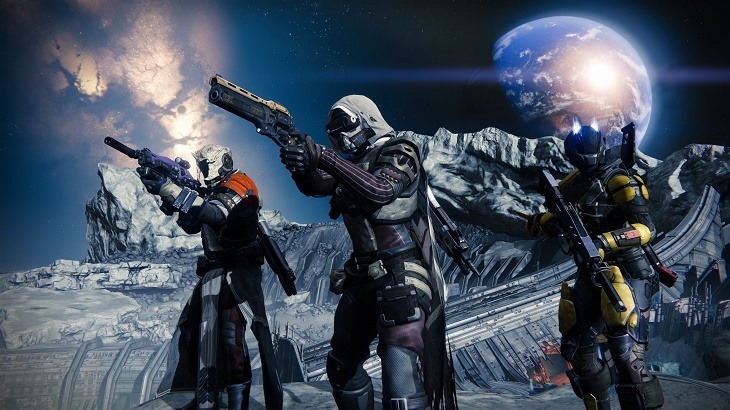 The Destiny beta starts almost a week earlier on Sony’s consoles. When it’s finally released, Destiny will have content exclusive to PlayStation, including content in future DLC and expansion packages. If you have the choice, you’ll probably want to get Destiny on PS4 or PS3, and that’s what is getting so many people riled up on the Bungie forums. A few others were extremely offended by the idea of exclusive PlayStation DLC in expansions that cost the same on both platforms. 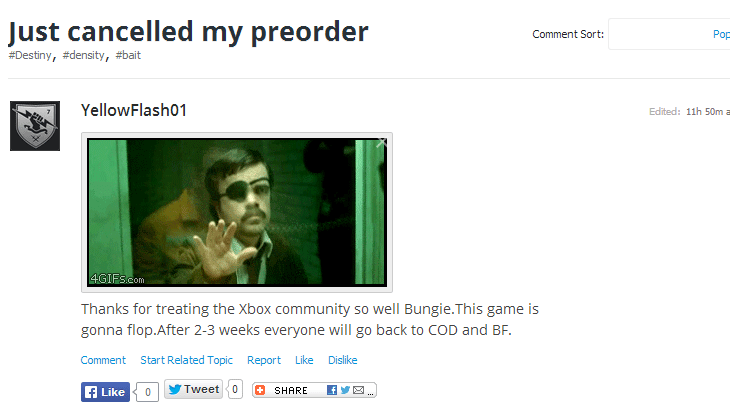 Others were just annoyed that the July Beta would only last 4 days on Xbox, while Sony users get nearly a week extra. That’s on top of the Alpha weekend PS4 players got last month. To be entirely honest, I don’t really understand what the problem is here. Yes, Bungie made a name for themselves on Xbox because they made an excellent franchise that literally sold consoles for Microsoft. They built up a massive fan base, but the fans aren’t the sole reason they are one of the biggest development studios in the industry today. That’s the fruits of their labour, don’t you think? Besides, it’s not like Activision is taking sides here. When was the last time some Call of Duty DLC came out on a Sony platform first? Microsoft probably poured tons into that deal with Activision, so why is it suddenly so bad that Sony did the same with Destiny? Thankfully there are more than a few level-headed users on the Bungie forums who are condemning messages like the ones above, with others explaining that the Sony exclusive content is neat, but not all that important. It’s good to see there’s still some logic out there.